Whether it's your first wedding anniversary, tenth, twentieth or the big 5-0, it’s a reason to celebrate! Plan an event to mark the occasion, get a pro in there to commemorate this special event in pictures. Here are four reasons why it is so important to hire a professional photographer to shoot your anniversary party. Whatever anniversary you’re celebrating, leave the permanent memories to the professionals. I don’t know about you, but I’m never in any pictures at any party I throw. Ditto vacations. I want proof I was there. Don’t you? A professional photographer is more reasonable than you think, and frees up the entire family from snapping away on their smartphones. Trust us, the quality when you print pics from a phone is NOT on point. Plus, there’s a good chance your friend/parent/great aunt won’t know how to properly share these pictures, so you’ll never lay eyes on them. Blaga Ditrow of Lush Life Photography & Film, a 2017 Best of GigMasters award-winner, and has plenty to say about hiring a pro beyond the usual photography-worthy events (weddings, Bar Mitzvahs, etc). . She agrees that you should put down the point-and-shoot or the DSLR you got for Christmas last year (and still haven’t figured out). Yes, a professional photographer “captures the moment” – but he or she also knows how to shoot in low light, sunlight, a crowd, a big hall or a tiny space. A professional photographer gets those candid shots while you’re naturally smiling and interacting with family and friends. You can spend some time gathering the ones you love for some posed pics, but enjoy the majority of the event knowing a photographer is capturing every moment. When you receive the photos, you’ll marvel at how much of the party you spent smiling and not snapping away. Ditrow approaches jobs just as a filmmaker would. “Stick to the Five W’s,” she says, “Who is the event about? What happened? When did it take place? Where was it? Why did it happen?” Any shots taken should be in favor of answering these crucial questions. So the story of your event could be: You and your significant other, celebrating 25 years of marriage,at the restaurant where you met, hire an expert to commemorate this most auspicious occasion. Why? (If you’re keeping count – that’s the 5th “W”) Because you love each other. On your 50th anniversary, you’ll take out the decades old photo album, and be happy you had someone there to memorialize the day. Have an anniversary event you want to capture? 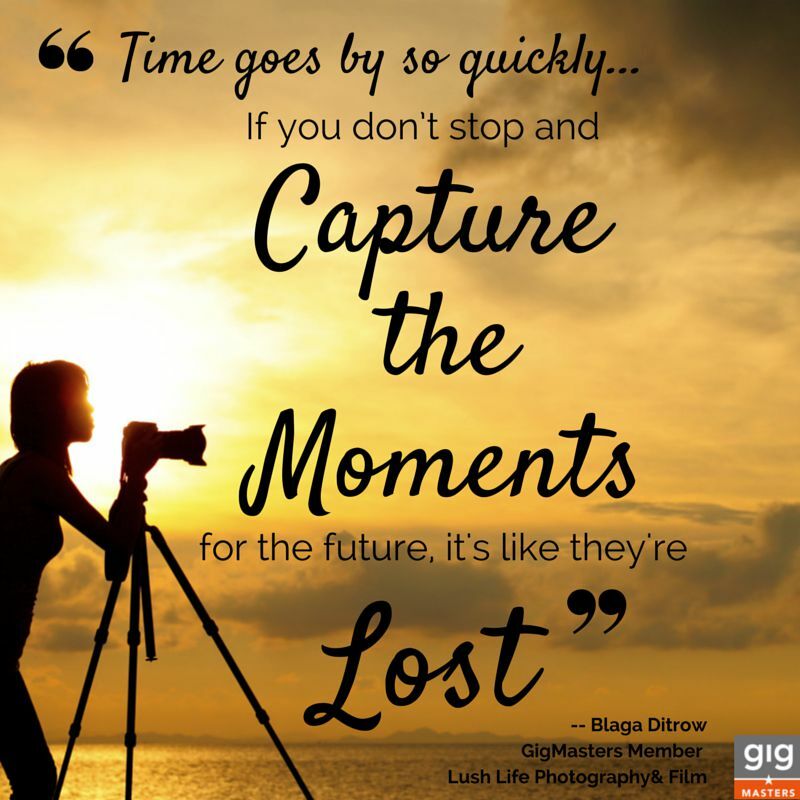 Find your photographer today! Planning an anniversary party? Planning an anniversary party? Find party theme inspiration with The Bash.